You might have gotten wind of a rumour that artists in Ireland are exempt from paying tax… and while that is true to an extent, it doesn’t apply to everyone and certainly doesn’t apply to every piece of art. Income earned by creatives (writers, visual artists, sculptors and composers) is exempt from Income Tax (IT) in Ireland so long as it meets certain criteria. It only relates to IT and not PRSI or USC. From the tax year 2011, the artist’s exempt income is subject to USC at the appropriate annual rates. In some instances, artists’ exempt income may be subject to PRSI, VAT and the Higher Earners Restriction. If you’re an artist, you might be wondering if your work falls under the Artists Exemption Scheme. What are the criteria for paying no tax on a piece of art? Section 195 of the Taxes Consolidation Act, 1997 allows the Revenue Commissioners to decide what creative works will be exempt from tax. If a piece of creative work is deemed eligible for Artists Exemption by Revenue, it will be exempt from the year in which the claim is made. 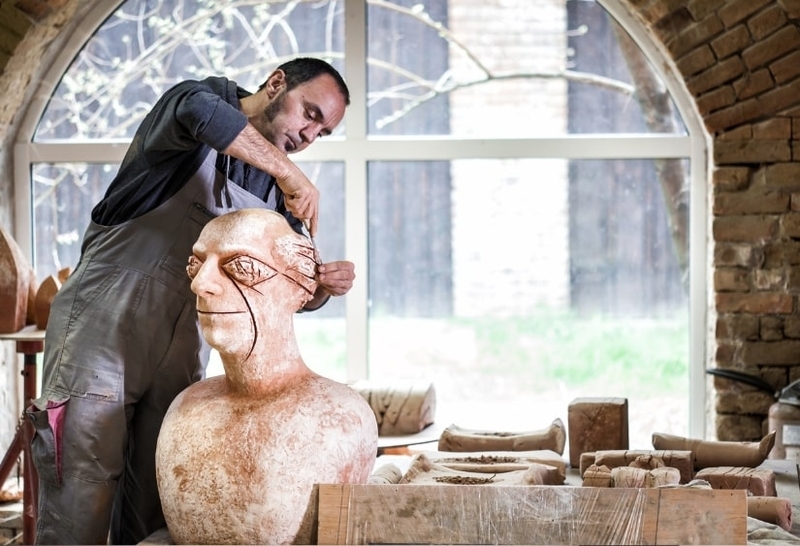 To apply for Artists Exemption, you must be a resident or ordinarily a resident who treats an EU Member State or an EEA State as your permanent home. Your work must be both creative and original. It must be considered to have some cultural or artistic merit. It doesn’t have to have both cultural and artistic merit, either one is fine. But what counts as cultural or artistic merit? Well basically, a work of art is thought to have cultural merit if; it enhances one or more aspects of national or international culture through its form and/or content. It has artistic merit if; it enhances to a significant degree the canon of work in the relevant category in its quality of form and/or content. Want to Claim Your Artist Exemption Tax Refund or File Your Self Assessed Taxes? But wait, how do Revenue decide if a piece of art is exempt from tax? So how the hell do Revenue decide what has cultural or artistic merit? Well, The Arts Council put together a document with rigorous guidelines that must be used when determining whether a piece of work meets the criteria. These guidelines were drawn up under the provisions of the Taxes Consolidation Act we mentioned earlier – they were intended to help the Revenue Commissioners decide on what has recognisable artist or cultural merit. Revenue may sometimes consult with The Arts Council to help reach a fair decision. The guide goes into detail about what is and is not the type of work that will be considered for IT exemption. There is however a lengthy description included in the guidelines of what exactly will be considered so that’s worth checking out if you believe your work might qualify. What happens if your art is approved for the artist exemption scheme? 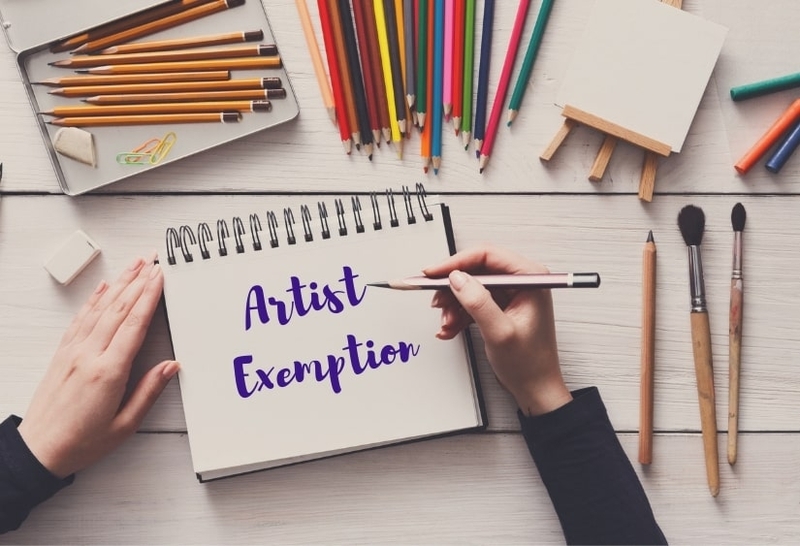 If they determine your work qualifies, you are deemed to have Artist’s Exemption for the year in which the claim is made. There is a maximum amount of income that is exempt: €50,000 per annum. This amount was previously €40,000 per annum from 2011-2014. How do I get a determination? You should submit an Artist 2 claim form, samples of your work and supporting documentation in the form of testimonials. Income that you’ve earned from a sale of your work in previous years is not exempt. If they fall within the same category, all future works will be deemed to qualify for the exemption. Again, you must also be an EU or EEA resident. A book or other writing – 3 published copies of the book or relevant information and links in the case of ebooks. A play ­– a copy of the script + a signed production contract. A painting or other like picture – six good quality photographs of the work together with an up to date brief CV of your artistic career. Note: You can appeal if Revenue have not made a decision within 6 months of your claim being made. It should be made in writing to the Tax Appeals Commission and must be made within 30 days following the end of the 6 month period. Some Irish creatives who have qualified for the relief includes co. authors of the immensely popular Oh My God What a Complete Aisling, The Rubberbandit’s Blindboy Boatclub for his book The Gospel According to Blindboy and screenwriter Stefanie Preissner who wrote the hit RTE TV show Can’t Cope, Won’t Cope. Drag queen and activist Rory O’Neill aka Panti Bliss also qualified for his stand-up show High Heels in Low Places. There is a full list available online of individuals who successfully received a favourable determination from 1997 to 2017 if you want to check that out. 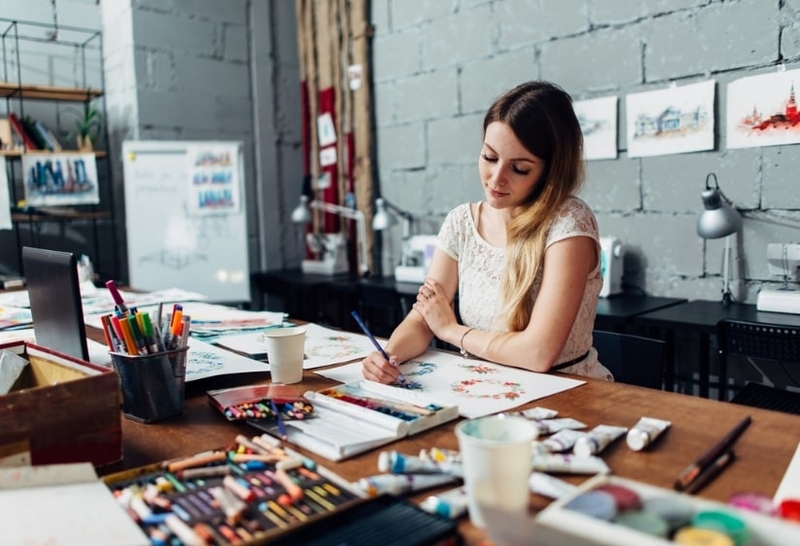 As an artist, you may receive grants, awards or prizes to aid your creative work – which are generally taxable as income. However, if the money you receive relates to work that has qualified to the Artists Exemption, it may also be tax exempt. Of course, it is still subject to the maximum amount of €50,000 per year. Residencies if they are paid directly to you by the Arts Council for the purposes of producing a qualifying work. Residencies that relate to teaching art or similar practices are not exempt. What if I’m on a PAYE income and selling art? Let’s face it, a lot of artists work day jobs to pay the rent. So what do you do in the case that you’re working under a PAYE income but you’re also earning from the sale of your artistic work? Well, your PAYE income is subject Income Tax, USC and PRSI, which are all deducted automatically by your employer. As an artist however, you are self-employed if you’re making money from your art. In this case you must declare any income you’ve made from your art. This means registering as self-assessed with Revenue and declaring your earnings. If you are working your PAYE job but you’re working as an artist in your free time, you can file your taxes under the PAYE tax assessment system, as long as you earn less than €5,000 net (that is after expenses but we’ll get to that in just a sec). In this case, you must submit a tax return Form 12. In the scenario that you’re earning over €5,000 in non-PAYE net income a year, you must file your self-assessed taxes by submitting a Form 11. The deadline for filing your taxes is 31 October the following year, if you fail to file on time, you will face penalties. If you’re not up-to-date with your taxes, you’ll have to pay what you owe from previous years. What reliefs and expenses can I claim as an artist or writer? Revenue expenses are deductible as long as they’re incurred wholly and exclusively for the purpose of the trade aka if you have fees like internet, electricity, accountancy (and yes, that includes using Taxback.com to file your tax return) that are related to the production of your creative work, they may be deductible. You may also claim capital expenses which include things like your computer, your canvases, necessary software, artistic materials and so on. If your work is infrequent it won’t be considered trading and you won’t qualify for relief on capital allowances. If you are selling your creative products but you don’t qualify for the Artist’s exemption, you still have to file your self-assessed taxes before the 31 December. This is all a lot to take in so if you’d rather leave it to the experts, contact Taxback.com today and we’ll make sure that filing your self-assessed taxes is a piece of cake!